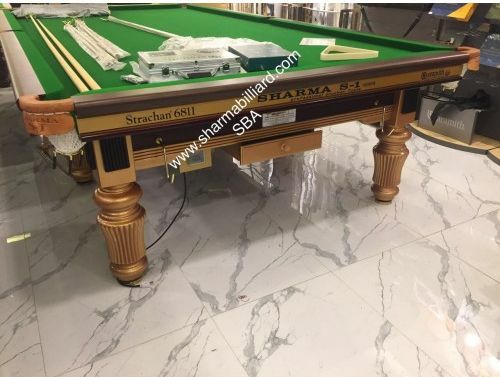 Whether it is a bulk or retail order billiard table or Snooker tables, we can deliver it on time. We have transportation resources on standby all year round to ensure hassle free distribution of our product. Quality raw materials have been used for the production of our entire range. As a dependable name, we procure these raw materials only from trustworthy sources present in the market. Pocket - pocket leather selected from the best quality hides ,pocket openings complying with WPBSA official template specification. Balls- One (Aramith 1G Tournament Balls 2 1/16") Made in Belgium (22 balls). According to international Tournament Standard. 1x One score board Electronic. 24 x chalk and tips .